Modern small liquor cup with a solid colorful aluminum ring made with a color of your choice. Modern small Silver Sterling liquor cup with a solid colorful aluminum ring made with a color of your choice. 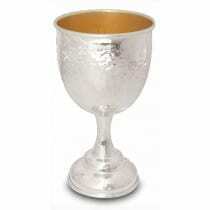 The making of the cup, combines traditional silversmiths Technics with modern materials and production methods.